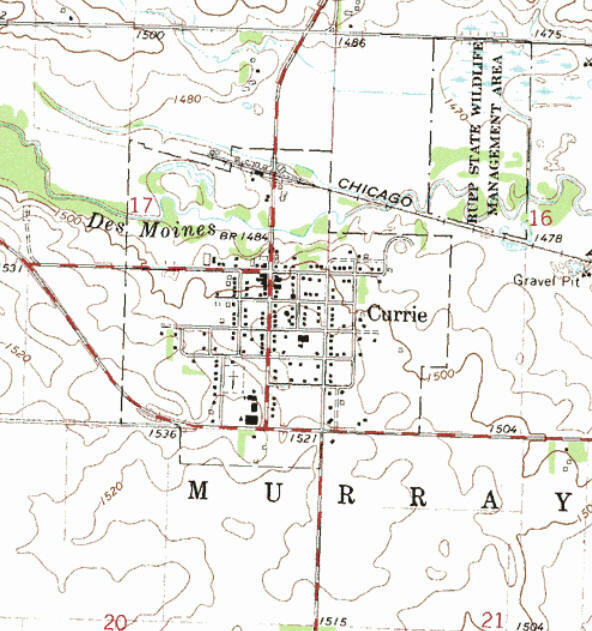 Currie is a city in Murray County, Minnesota. Minnesota State Highway 30 serves as a main route in the community. U.S. Route 59 is nearby. 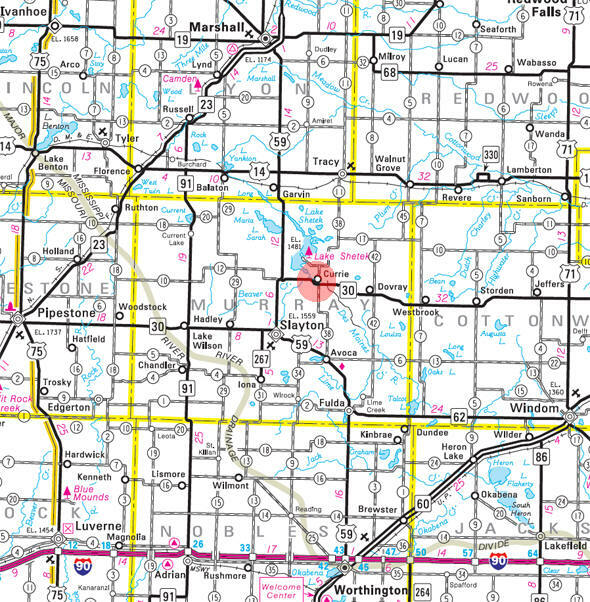 According to the United States Census Bureau, the city has a total area of 0.57 square miles (1.48 km²), all of it land. 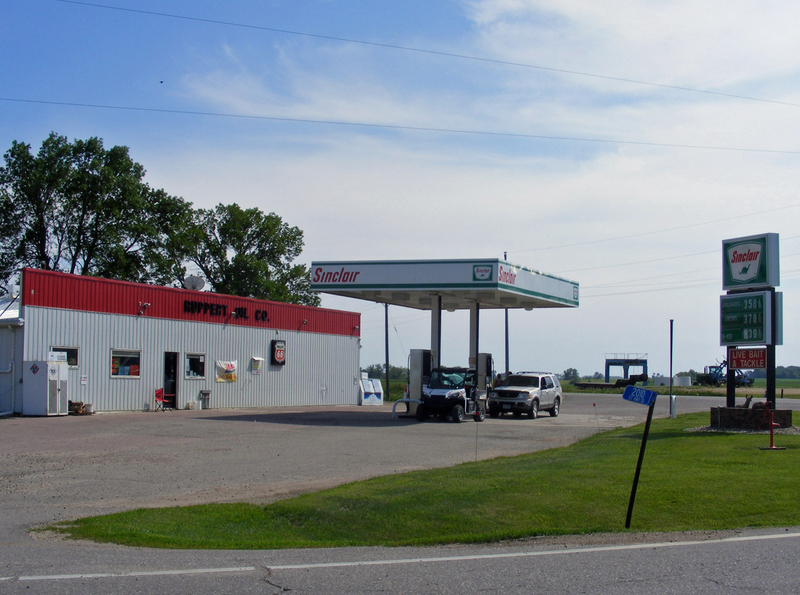 Minnesota State Highway 30 and Murray County Road 38 are the main routes in the community. U.S. Highway 59 is nearby. The elevation is 1,496 ft (456 m). As of the census of 2010, there were 233 people, 114 households, and 65 families residing in the city. The population density was 408.8 inhabitants per square mile (157.8/km2). There were 125 housing units at an average density of 219.3 per square mile (84.7/km2). The racial makeup of the city was 100.0% White. Hispanic or Latino of any race were 1.7% of the population. There were 114 households of which 19.3% had children under the age of 18 living with them, 44.7% were married couples living together, 8.8% had a female householder with no husband present, 3.5% had a male householder with no wife present, and 43.0% were non-families. 38.6% of all households were made up of individuals and 16.7% had someone living alone who was 65 years of age or older. The average household size was 2.04 and the average family size was 2.68. The median age in the city was 53.3 years. 16.3% of residents were under the age of 18; 6% were between the ages of 18 and 24; 15.5% were from 25 to 44; 34.4% were from 45 to 64; and 27.9% were 65 years of age or older. The gender makeup of the city was 50.6% male and 49.4% female. Put yourself back in history to about 1869. 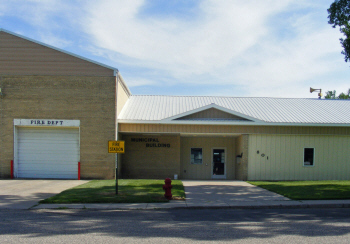 Due to the Dakota Conflict episode at Lake Shetek in 1862 and the Civil War there were only a few settlers in Murray County. 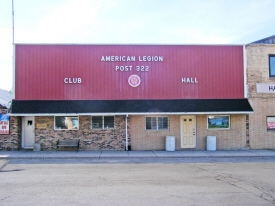 In 1872 Archibald and Neil Currie walked into what was to become the village of Currie. 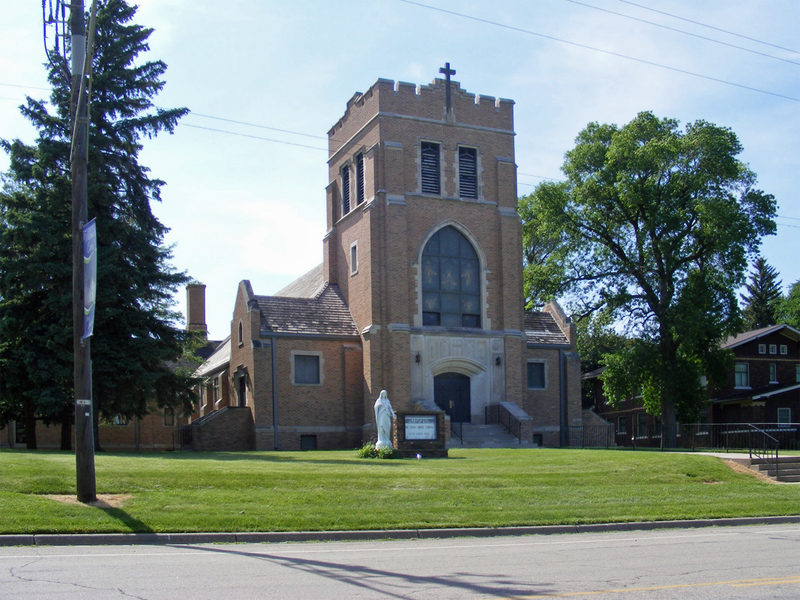 They were Scotsmen whose Scottish ancestors had immigrated to Canada and then south to Minnesota. Some of the Irish names familiar to Currie are Gorman, Phelan, Neilan, Cummiskey, O'Brien, Donahue, Leonard, Malone, Sweetman, Galvin, and more. Some names from Norway, Sweden, Denmark, and Finland are Larson, Anderson, Peterson, Hanson, Johnson, Carlson, Aanenson, Everson, Olson, Peltola, Sanderson, Torkelson, and more. From France came the Boudreaus, the Pommiers, the Gervais, the LeClaires, the St. Pierres, the Deslauriers and many more. Some of the Austrian, German, Luxembourg names remembered in Currie are Koppi, Andert, Kosak, Silvernale, Ruppert, and many more. Farmers and businessmen, they added their knowledge, and stayed through the good and the difficult years in early Currie. 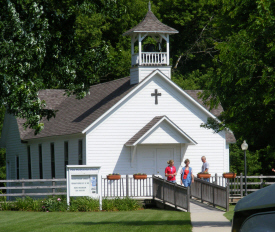 When Murray County was platted in 1872, the nearest place to mill wheat into flour and buy supplies was New Ulm. Caravans traveled from this area once or twice a year by ox-drawn wagon to New Ulm, with the 75 mile trip taking about a week. At this time Archibald Currie and his son Neil built a flour mill on the bank of the Des Moines River. 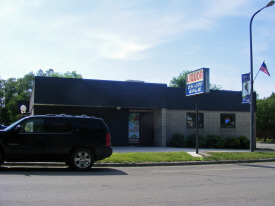 It was located approximately where Schreier Construction is now. In the 1880's up to 20 teams would be hitched around the mill at a time. Farmers would come from as far as 30 miles away and often stay overnight. The Curries also built a little red store by the mill and stocked a line of general merchandise as well as a supply of medicines and drugs. 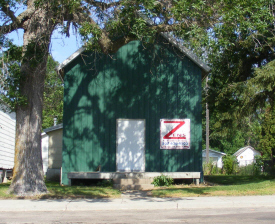 The original building is currently located in the End-O-Line Park. 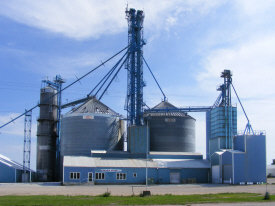 The mill was later purchased by F.H. 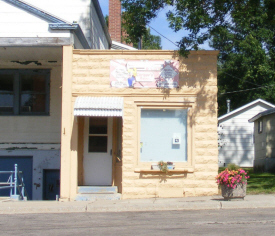 Silvernale and the store sold to Henry Paal and John O'Shea. O'Shea sold out to Paal in 1914. The first newspaper in Murray County was established by a Mr. Bromwich on January 1, 1878 and later purchases by J. A. Maxwell. 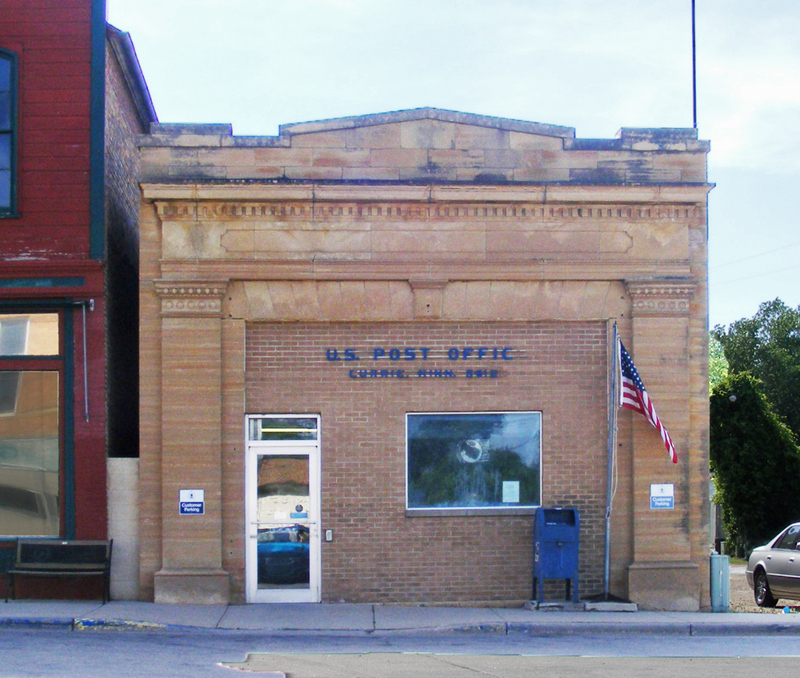 Called the "Murray County Pioneer," the paper moved to Slayton when the county seat was relocated in 1889. The first hotel in the village was called "The Farmer's Hotel," and was operated by Lon Cole. 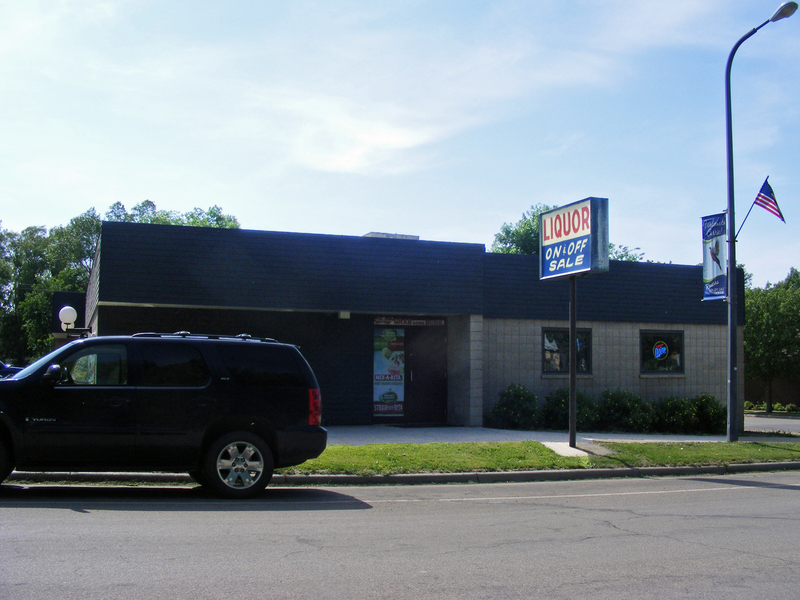 Another was started by Mr. Finch and operated by W. W. Caulkins. A fire in this hotel in 1884 was responsible for the creation of the Fire Department in town. 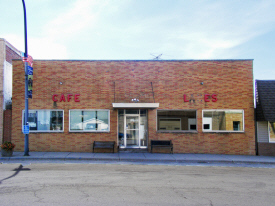 Lewis Fling operated "Fling's Hotel" which was one of eight businesses lost when the county seat was moved. 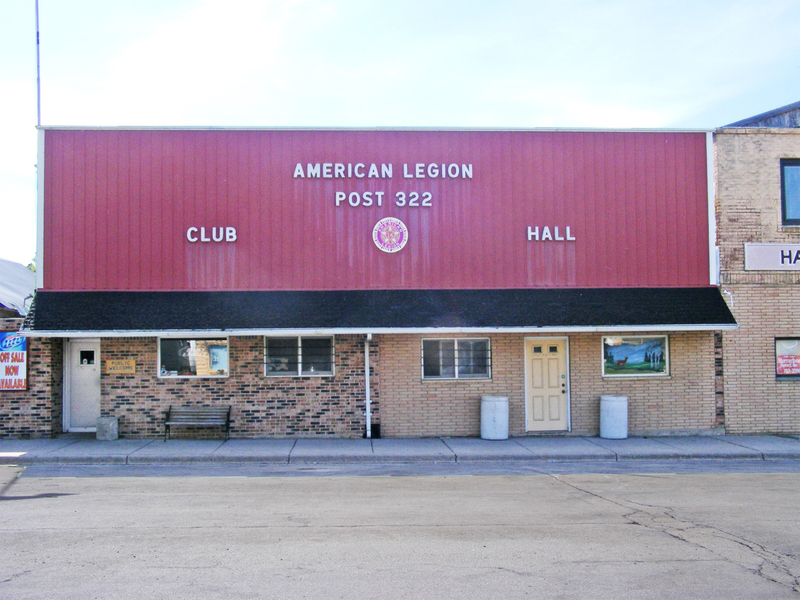 Fling dismantled the building and shipped most of the lumber to Stansberry, MO. 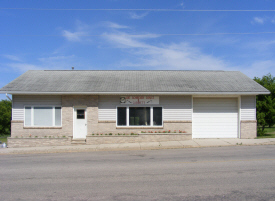 While the relocation of the county seat causes a decline in Currie's economy for a period, the building of a branch line from Bingham Lake into the village gave the community a real boost. 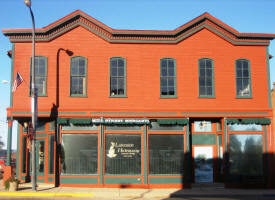 By the early 1900's there were about 33 businesses bringing new prosperity to the area. 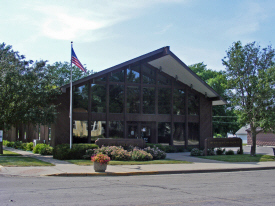 Among the businesses at this time were the First State Bank with Floyd Silvernale as president. 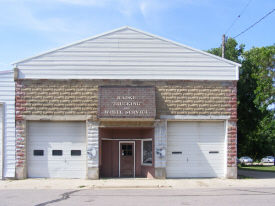 Other businesses were the depot, the post office, the Nickel Plate Restaurant, hardware store, undertaking parlor, two millinery shops, furniture store, drug store, implements and machinery company, meat market, two general stores, livery and dray, two hotels, a veterinary and a doctor. Improvements that followed in 1909 were electric lights and power and the Woodgate Telephone Company. This point was probably the economic high point for the community. In 1928, the oncoming depression forced the closure of the First State Bank. The Farmers and Merchants followed in May 1930. 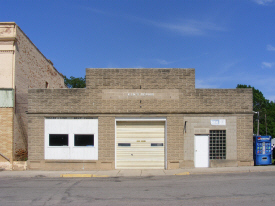 By February 1931, Henry Eiselein and a number of Currie businessmen started the Currie State Bank, which is still in operation today. 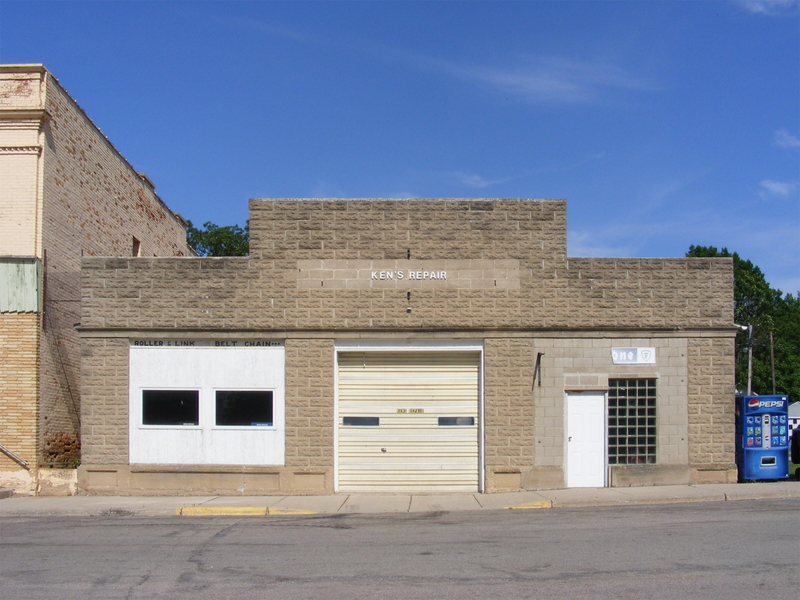 Many other businesses have come and gone in our community, including the Rex Theater, implement dealers, lumber yard, grocery stores, confectionery shop, livestock shippers, and more. CURRIE, a city in sections 16, 17, and 20 of Murray Township, was founded in 1872, when Neil Currie and his father, Archibald Currie, built a flour mill there, using waterpower of the Des Moines River about a mile below the mouth of Lake Shetek. Archibald Currie was born in Argyllshire, Scotland, November 13, 1816; came with his parents to America when five years old and to Minnesota in 1862; was a merchant in Winona County until 1874; then removed to Currie, where he engaged in merchandising and milling; was treasurer of this county, 1879-83; died July 15, 1904. 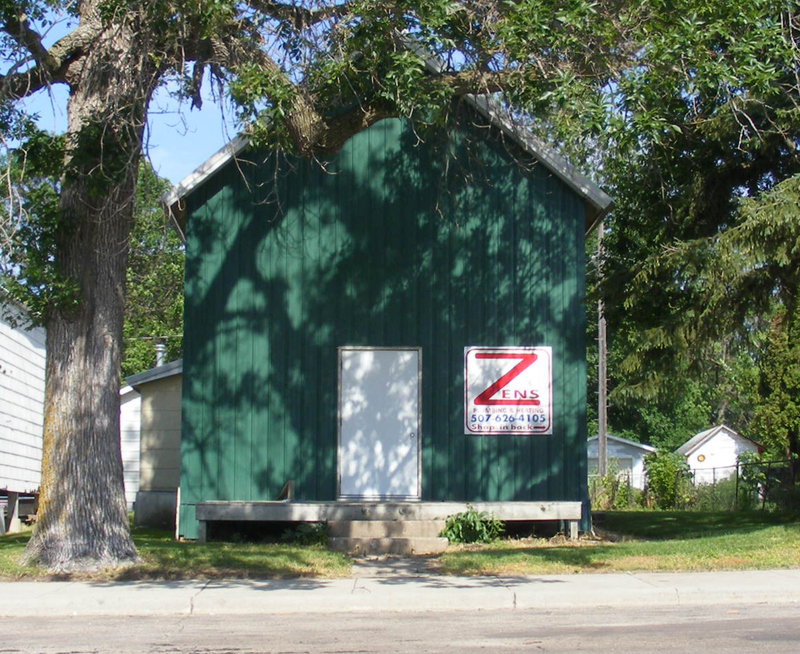 This village, which was the first county seat, from 1872 to 1889, being succeeded by Slayton, was named in honor of him and of Neil Currie, who was born in Canada, December 15, 1842. 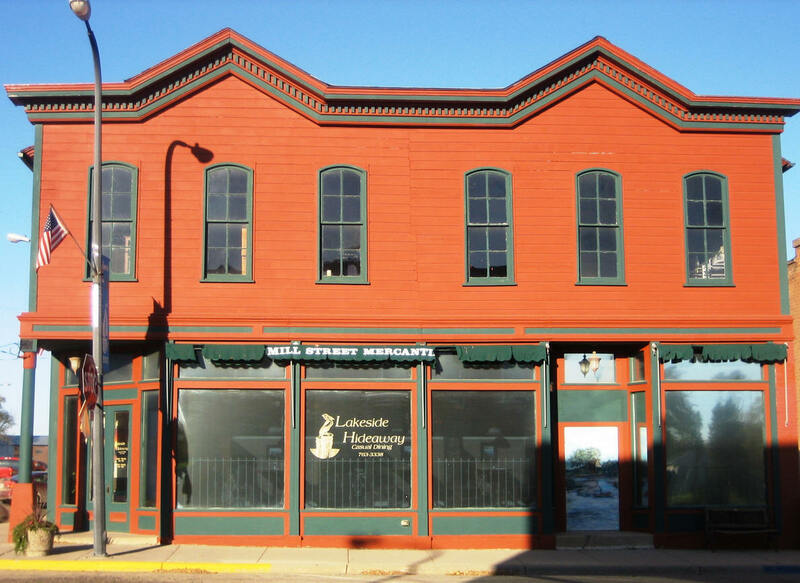 He built the first store here in 1872 and aided in organizing the Murray County Bank in 1874; was postmaster of Currie, 1872-90, and clerk of the court, 1874-87; resided here as a merchant until 1905, when he removed to St. Paul. The End-O-Line Railroad Park and Museum evokes the spirit of a small frontier railroad town. The section foreman’s house, train depot, engine house, two unique cabooses, large steam engines, a gristmill, county school house, church, courthouse, country store, and other buildings to bring this “town” to life! 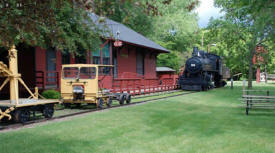 The End-O-Line is a fun and educational destination for large group tours as well as quaint family gatherings. You will be surprised by what you find at this beautiful park! 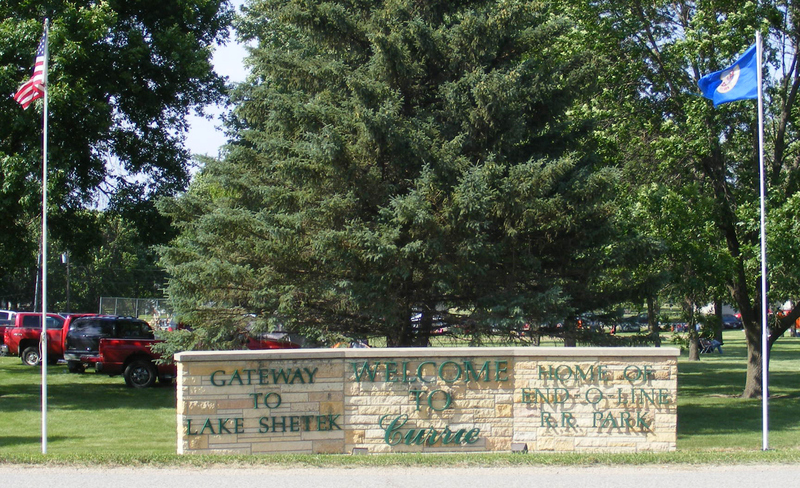 The word "Shetek" is Ojibwe for "pelican," a bird which visits Lake Shetek during the summer and fall.The park contains the largest lake in southwestern Minnesota, which forms the headwaters of the Des Moines River. 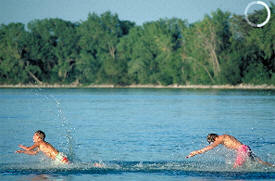 Expect great fishing for walleye, northern, crappie, and bullheads. Loon Island, a 45-acre island on Lake Shetek, is accessible on foot via a causeway and includes an interpretive trail. Visit the Koch Cabin and monument memorializing pioneer settlers. The park includes a swimming beach, boat launch, campgrounds and a scenic six-mile loop bicycle trail into the town of Currie. Boat, canoe, and kayak rentals are available. Schreier's on Shetek Campground is located on the shores of Lake Shetek, the largest lake in southwest Minnesota. 'Shetek,' which means pelican, is home to these as well as many other wild birds. The headwaters of the Des Moines River originate from the lake. 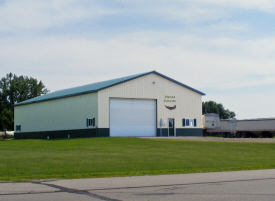 Lake Shetek is well know for its walleye fishing and stocks other game fish as well as tasty panfish such as perch, bullheads and crappies. 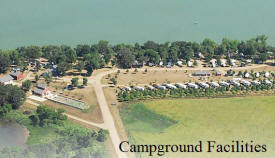 The large lake lends itself to hosting a variety of activities - whatever your pleasure - from quiet fishing, personal watercraft, pontoon boats, paddle boats, water skiing to riding a cruise boat around the lake. 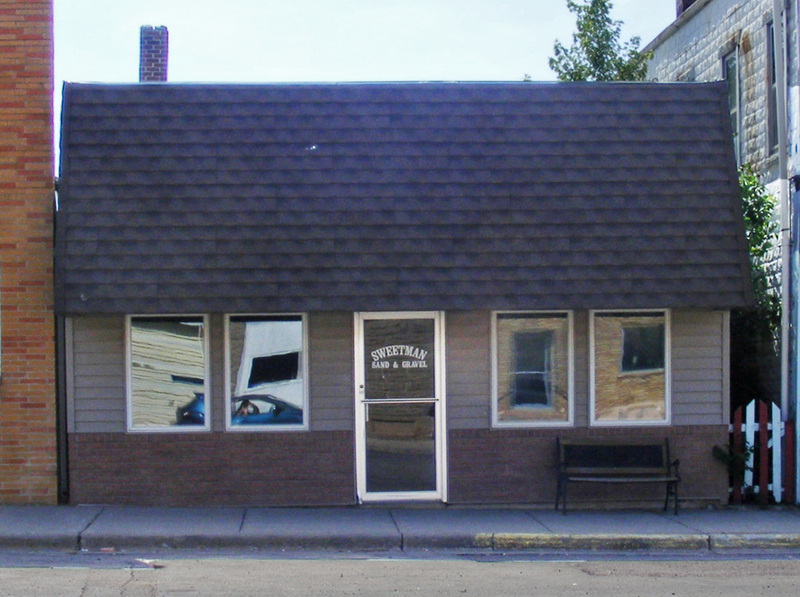 Choo Choo Charlie's is located in Downtown Currie Minnesota offering the Best Ice Cream in town along with Sub Sandwiches, Pizza, Breakfast, Gifts, "S" scale Model Trains by "American Models" and " American Flyer" and "Double Bull Archery" Hunting Blinds. 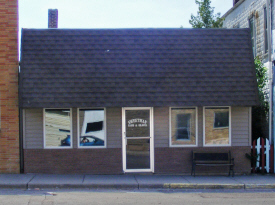 Currie State Bank was established in February 1931 and the Okabena office was established in December of 2016. We take pride in creating and delivering quality banking products and services to you at exceptional values. We provide a stimulating and challenging work environment for our employees that encourages, develops and rewards excellence. Currie State Bank continues to grow and serve our existing markets by insuring that our employees are well trained to deliver state-of-the-art products and superior service to you. We intend to remain independent and we will continue to provide personal services while emphasizing the importance of personal involvement of our employees in local communities. 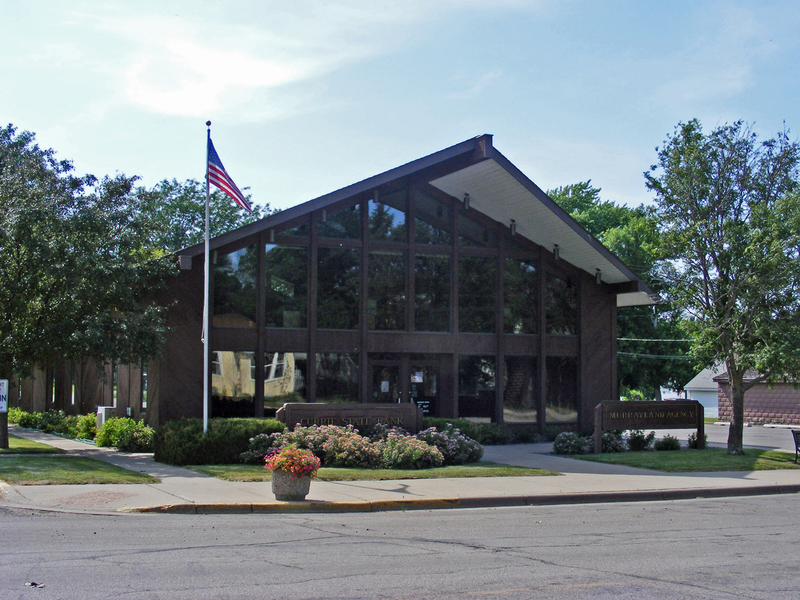 Currie State Bank will continue to meet your needs and the needs of our community. 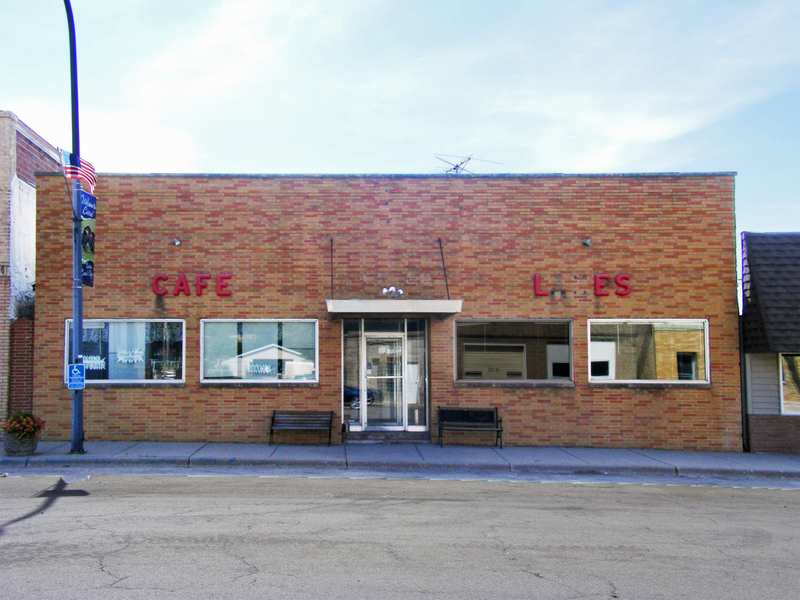 Lakeside Hideaway in downtown Currie offers a premiere dining experience for the people of southwest Minnesota. At Lakeside Hideaway we pride ourselves on our one of a kind chef inspired menu options, great beer and wine selections, in-house signature drinks, and a unique atmosphere hard to find anywhere else. Lakeside Hideaway offers great food and drink specials 5 nights a week. Open Sunday, Monday & Thursday 5 to 9pm, Friday and Saturday 5 to 10pm. Get away to Painted Prairie Vineyard for a unique, relaxing winery experience. Enjoy a casual day sitting back and enjoying the view of our family-owned vineyard. Surrounded by endless Minnesota prairie and marsh makes a lovely setting and home to our three varieties of grapes. 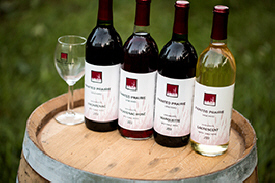 From the vine to wine you will be amazed with the expertly crafted wines of Painted Prairie Vineyard.